Vehicle wraps are one of the most powerful methods of marketing and advertising your business. Vehicle wraps are your business’s mobile billboard, your call-to-action, and your business card all in one. But how effective are wraps, and are they a good investment? 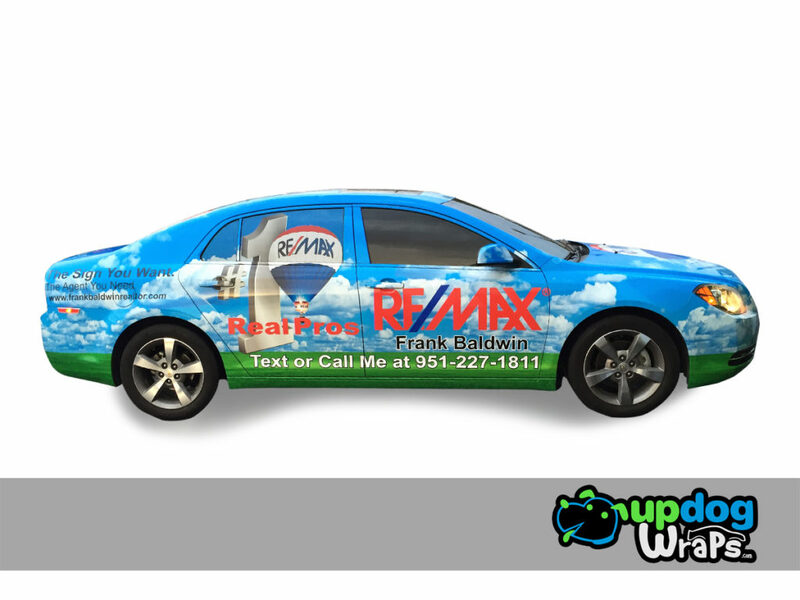 UpDog did this wrap for Re/Max realtor Frank Baldwin. 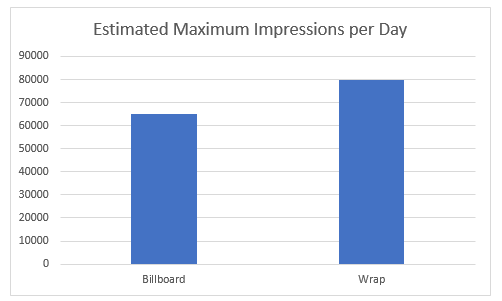 In contrast, a regular (non-mobile) billboard may net between 8,000 to 65,000 impressions per day, based on location, according to bluelinemedia.com. Not only can a vehicle wrap garner more impressions, but it costs nearly the same as a billboard vinyl AND protects your vehicle’s paint job. A professional wrap can also last three to five years. 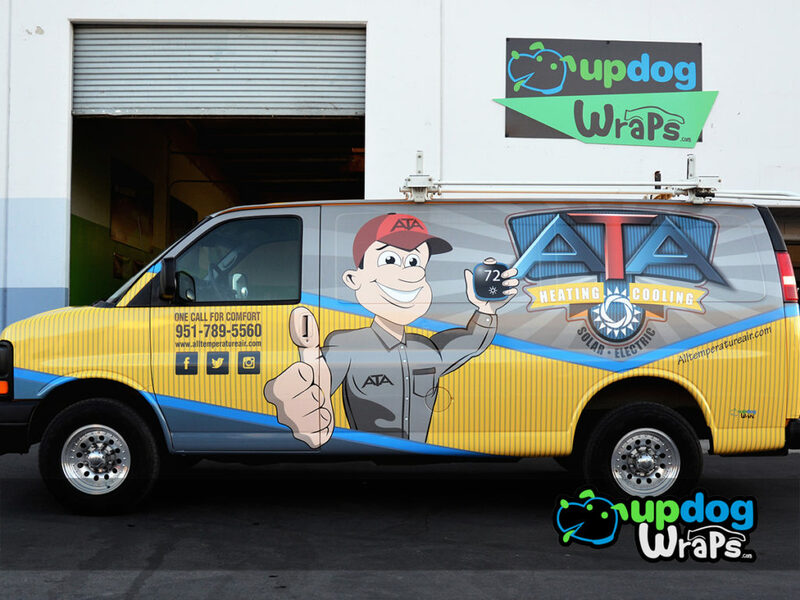 UpDog did this wrap for ATA Heating and Cooling. At UpDog Wraps, we use the finest materials and a professional team of installers to create custom designs for our customers. If you’re interested in vehicle wraps, contact us for a quote today! 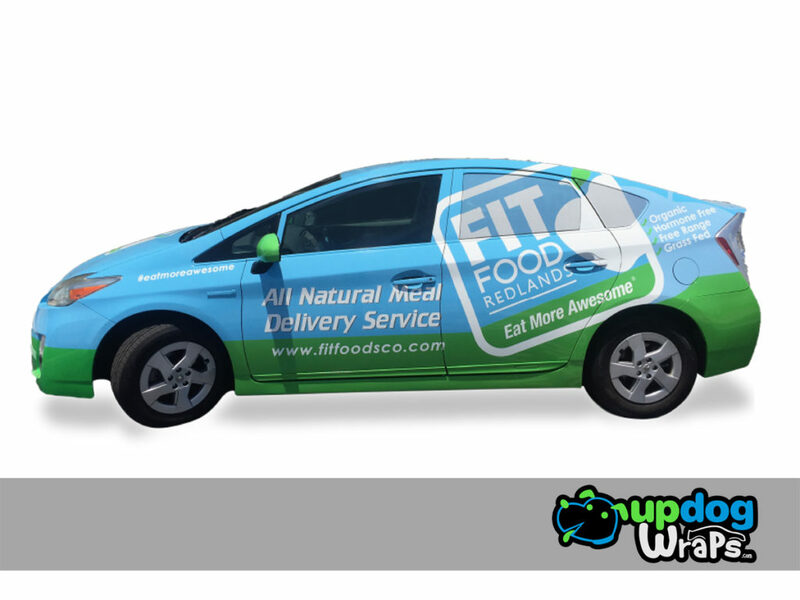 UpDog did this wrap for Fit Food Redlands. Are you lacking customers? Are you in a creative slump? Maybe you don’t have time for marketing? Or maybe you’re not seen as an expert in your field? At UpDog, we believe in you, and we’re here to help. Our Marketing Team is YOUR Marketing Team, and we are dedicated to increasing your customer base by giving you the time and resources you need to be successful. If you have a problem, our experts have a solution! Give us a call at 909-254-4390.